The taste of Ireland can be summed up into two words.... Corned Beef! While not really a Irish invention, corned beef and cabbage has become linked in the minds of the world as a dish that every person of Irish ancestry eats on a daily basis. The truth is, this dish was a irish creation in the american tradition. Many cultures brought with them flavors, foods and dishes from their countries that were popular and often inexpensive and easy to make. New York, with is high populations of foreign immigrants created neighborhoods of Jewish, German, Polish, Italian and Irish communities...to name a few. 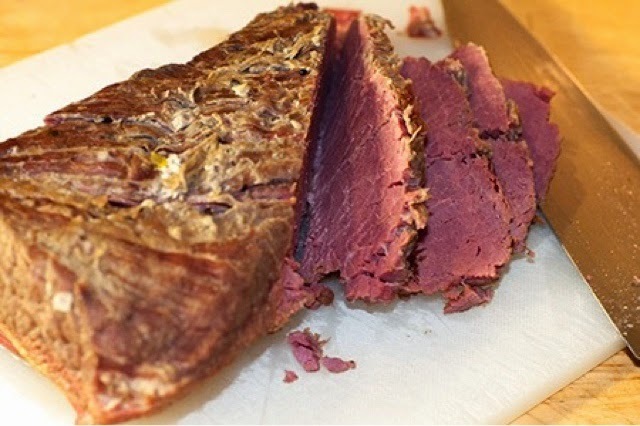 Corned beef was a inexpensive source of meat and often made into pastrami thanks to another neighbor...the Jewish deli. 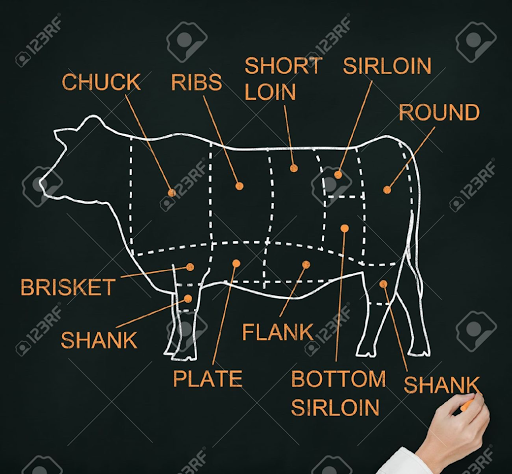 Corned beef comes from the cows brisket area above the front shanks. It's usually pre- packaged two ways, "Point and Flat". While the point cut looks like a better value, stay with the flat cut. It has a better fat layer for flavor and comes from the top of the point cut wich provides a better uniform yield. Most pre-packaged cuts come already brined and with a spice packet to sprinkle on during cooking. 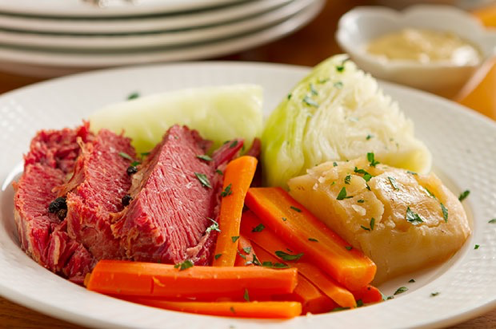 While corned beef may not be the most authentic Irish dish, it sure will add flavor to almost any side... Including a pint of Guinness!